The Operation of Grace collects a decade’s worth of essays by Gregory Wolfe taken from the pages of Image, the literary journal he founded more than a quarter century ago. His writings cover a wide range of topics, focusing on the intersection of art, faith, and mystery. Wolfe helps us see how art deepens faith through the empathetic reach of the imagination and faith anchors art in a vision beyond the artist’s ego. Several essays dwell on how aesthetic values like ambiguity, tragedy, and beauty enlarge our understanding of the spiritual life. A short video interview about The Operation of Grace. Intruding Upon the Timeless is a collection of essays, written over nearly three decades, by the founder and editor of Image journal, Gregory Wolfe. This revised, expanded edition includes not only the short, evocative meditations written for Image journal in its early years—which established Wolfe as a pioneer in the “arts and faith” movement and a ground-breaking cultural critic—but also more recent considerations of contemporary artists and writers such as Scott Cairns, Alice McDermott, Christopher Beha, and Edward Knippers. This edition features artwork (many pieces created specifically for this volume) by a generation of artists influenced by Wolfe’s writings. Culture wars and increasingly partisan conflicts have reduced public discourse to shouting matches between ideologues. But rather than merely bemoaning the vulgarity and sloganeering of this era, says acclaimed author and editor Gregory Wolfe, we should seek to enrich the language of civil discourse by drawing nourishment from the deepest sources of culture: art and religious faith. Beauty Will Save the World makes a powerful case for the importance of beauty and imagination to cultural renewal, and offers a revealing introduction to the artists and thinkers who are the Christian humanists of the modern era. In the two decades since it began publication, Image journal has not only emerged as one of North America’s leading quarterlies, but has also carved out a unique identity as the source for contemporary art and literature that grapple with the perennial questions of religious faith. Bearing the Mystery brings together in one handsome volume the best fiction, poetry, essays, and visual art from Image’s first twenty years — the work of nearly seventy writers and twenty visual artists (represented in sixteen glorious color plates). With a special introduction by founder and editor Gregory Wolfe that meditates on the journal’s mission, Bearing the Mystery is indeed a treasure-hoard. Dunstan Thompson (1918–75) was an American poet of great promise who burst onto the Anglo-American literary scene during World War II. In the words of one contemporary, Thompson was one of the rising “stars of modern poetry,” a writer who might one day join the pantheon of poets like Hart Crane, W. H. Auden, Stephen Spender, and Dylan Thomas. And yet Thompson more or less disappeared from public view by the early 1950s. After publishing two volumes of poetry, a travel book, and a novel, Thompson had only a few scattered magazine publications until his death. A posthumous volume was privately printed in England but the circulation was small. This biography chronicles the long, turbulent life of Malcolm Muggeridge, perhaps the most brilliant controversialist and media personality of his generation. Drawing from unpublished diaries, correspondence, interviews, and his prolific writings, Gregory Wolfe demonstrates the underlying unity—spiritual and intellectual—that runs through the many phases of Muggeridge’s career. According to Wolfe, Muggeridge, like St. Augustine, endured a life-long conflict between flesh and spirit, deep involvement in the world and the need to withdraw from it. From his socialist upbringing under the influence of his father, H.T. Muggeridge, to his early years as a foreign correspondent in Cairo, Moscow, Calcutta, and Washington, to his stint as editor of Punch and meteoric career as a television personality, to his conversion to Christianity and, ultimately, Roman Catholicism, Muggeridge pursued the truth as a passionate pilgrim. This biography argues that Malcolm Muggeridge was a prophetic scourge of the follies and fantasies of our time, one of the finest prose stylists of the twentieth century, and a defender of the Christian faith who deserves to take his place alongside G.K. Chesterton and C.S. Lewis. Is there any hope that America can emerge from the divisive “culture wars” that have torn our social fabric and impoverished our public discourse? This is one of the burning questions of our time. The American public square is increasingly dominated by polarized forces that are bent on following their partisan agendas at all costs. But in recent years a reaction to our cultural disintegration has set in; there have been an increasing number of calls for a return to “civility” and a new “politics of meaning.” Most of these responses, however, have been either vague or little more than repackaging of old political manifestoes. 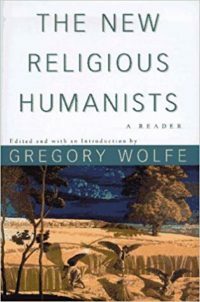 Yet in The New Religious Humanists: A Reader, we find the work of religious intellectuals who have a compelling vision for cultural renewal. Wolfe argues that the only viable alternative to the old debates between Left and Right comes from one of the oldest strains of the Judeo-Christian tradition. Religious humanism, he notes, transcends ideology by striving to balance change and permanence, the individual and the community, human realities and divine imperatives, a tragic sensibility and authentic hope. The New Religious Humanists calls attention to a wise and vital tradition that is too frequently drowned out by the babel of voices dominating politics today. The writers and topics gathered in this book offer a feast for the mind and heart, including personal narratives, meditations on the role of faith in public life, and reflections on environmentalism, abortion, biotechnology, and the arts. Here is a book that is sure to spark serious discussion among those who are seeking to address the pressing issues of our time. Sacred Passion surveys the life and career of William Schickel, one of the most distinguished, versatile, and spiritual artists at work in America today. For over four decades, Schickel has brought his deep personal faith and skills as an artist and designer to bear upon the needs of a variety of diverse communities. As is the case in most effective designs, Schickel’s works do not call attention to his own personality as artist; rather, they serve the larger needs of the community. Nonetheless, over the years he has pioneered a number of the most innovative conceptions in art and design. He has brought his imagination to bear on projects both sacred and secular. Now, at the height of his distinguished career, it is possible to survey and celebrate his achievements. The second edition of Sacred Passion has been published by the University of Notre Dame Press. It has been nominated for the 2010 ForeWord Reviews’ Book of the Year Awards. Sacred Passion features over 250 stunning full-color photographs highlighting Schickel’s vast body of work, from painting and sculpture to architectural design and liturgical objects. To purchase the second, expanded edition click here. There are more than 300 titles to choose from, each featuring a dramatic story and memorable characters who explore moral ground and the difference between right and wrong. 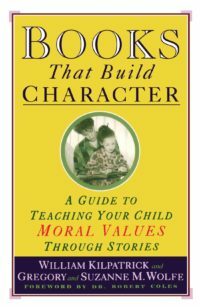 These books will capture your child’s imagination, and conscience as well-mischievous Max in Where the Wild Things Are, the troubled boys of Lord of the Flies, generous Mr. Badger in The Wind in the Willows, or the courageous struggles of such real-life characters as Frederick Douglass and Anne Frank. With entries arranged by category and reading level, there is something here for all readers-from preschoolers to teenagers-whatever their tastes may be. Each entry features a complete plot summary and publisher information so that you can find the book with ease in your local library or bookstore. It’s not always easy to teach a child the difference between right and wrong, but stories can speak to children more eloquently than any list of dos or don’ts and can impart moral values as they nurture a child’s imagination.